A Tropical, Tropical Morning in Lower Camp! Look out, Splash Day, you’ve got competition as favorite lower camp theme day of the summer! It’s Luau Day! 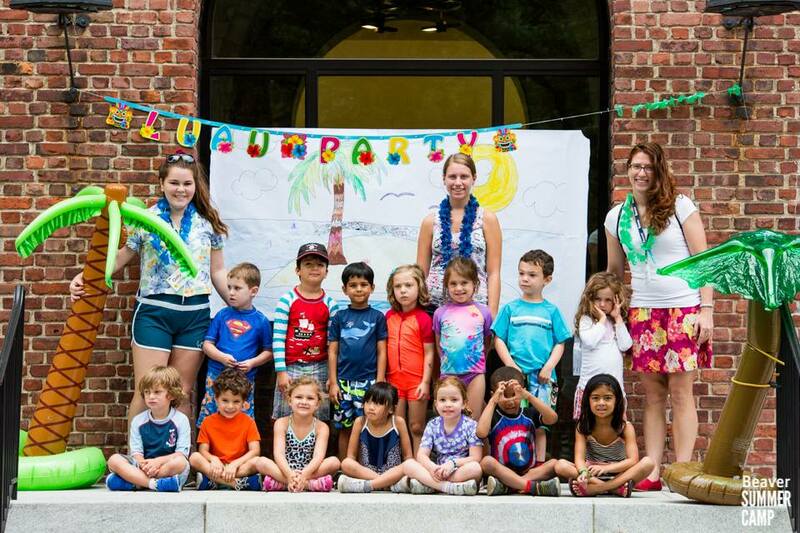 Wednesday morning’s Luau Day in Lower Camp was a a wonderful tropical treat. 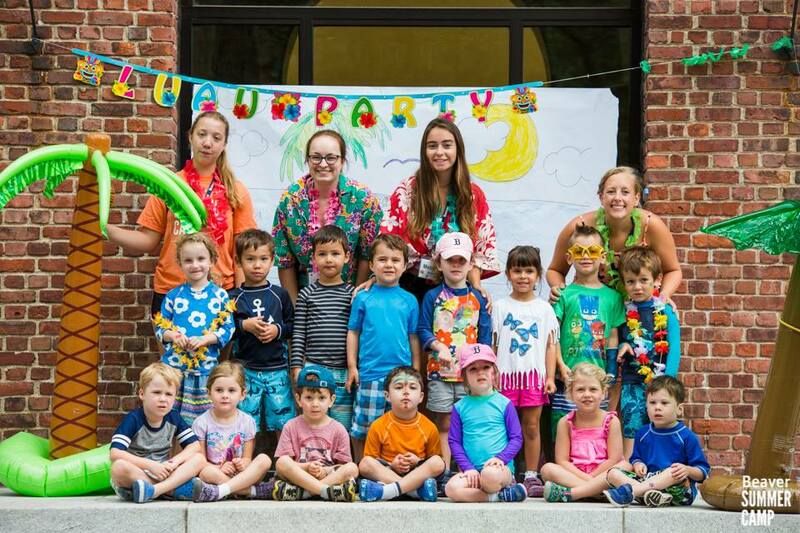 Our youngest campers arrived on campus in the morning, dressed in colorful tropical attire, ready for a festive and musical morning. 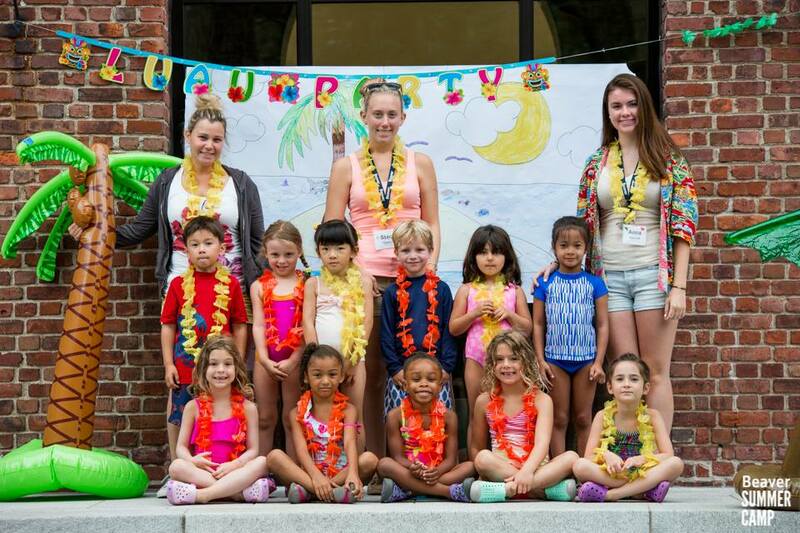 To kick off the event, campers enthusiastically created tropics-inspired crafts and accessories that included floral leis and beautiful grass crowns and skirts. 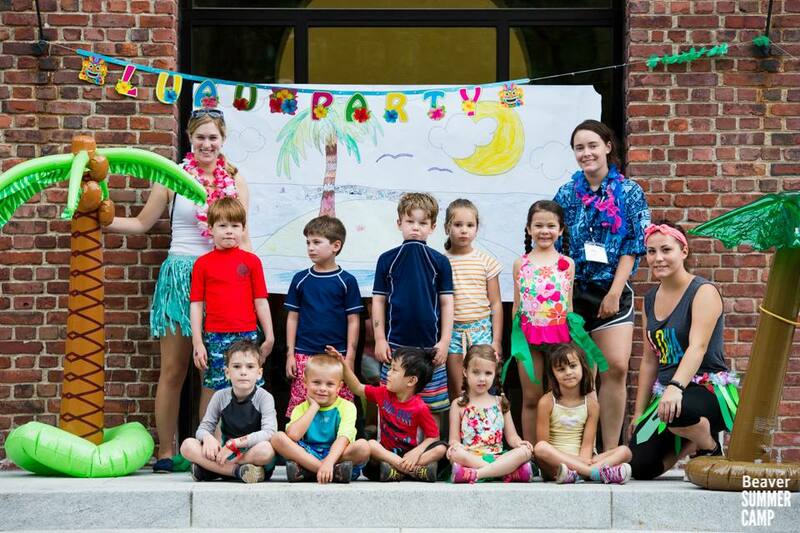 Some campers even viewed the activities through pineapple sunglasses! 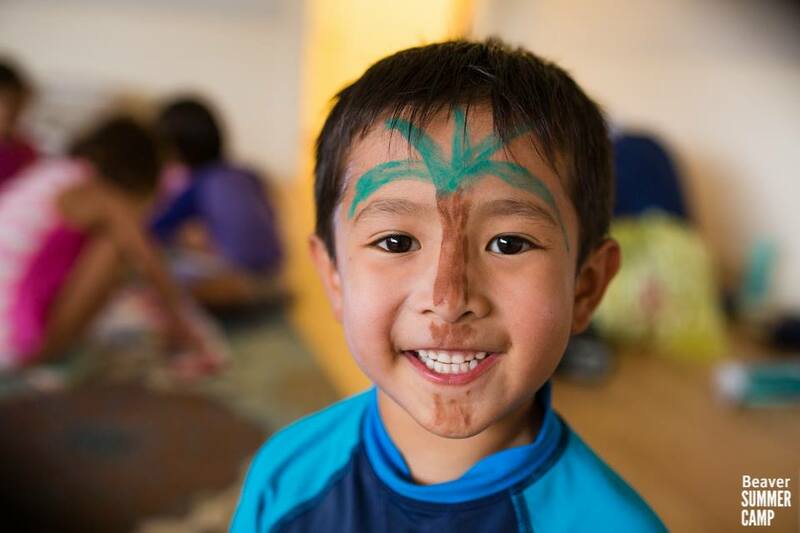 With a soundtrack of tropical music circulating throughout the front circle, Lower Campers and their counselors danced, hula-hooped, acquired temporary tropical tattoos, and had their faces painted by specialists with incredibly realistic images of billowing palm trees, vivid tropical flowers, and even lava-spouting volcanoes! 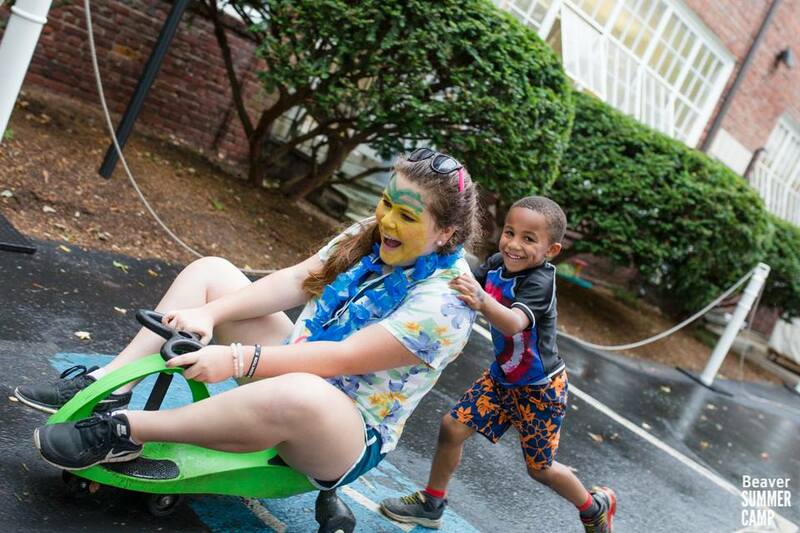 To completely authenticate the warm summer morning, the rain started to fall, and campers and counselors took happy shelter in the building, continuing the festivities, engaging further in games, and enjoying “tropical applesauce” – but before long they returned outdoors and resumed their activities alfresco. 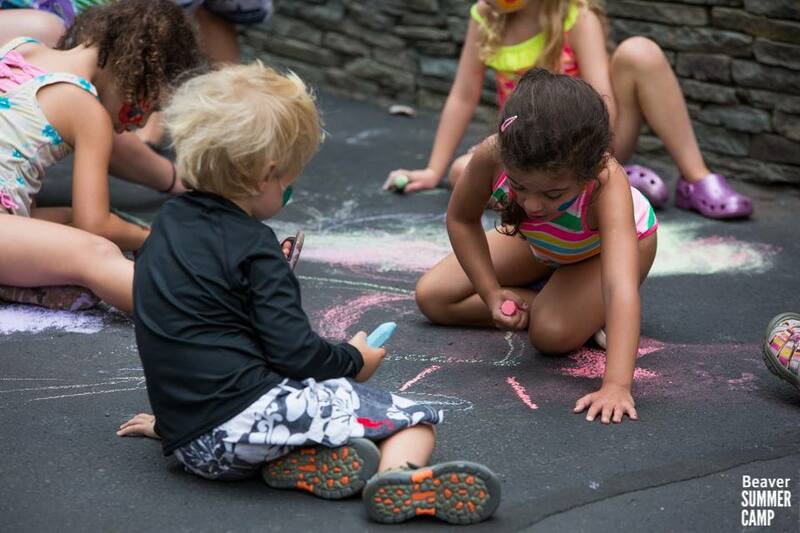 By the end of the morning, our lovable Lower Campers were decorated, happy, and filled with fond memories of another awesome morning at Beaver! Mahalo (thank you) to all of the cheerful, enthusiastic Lower Camp counselors and specialists for making the morning so much fun!